An epilepsy team in Lima, Peru, trained by clinicians with Western's Department of Clinical Neurological Sciences, has performed the country's first ever temporal lobectomy. 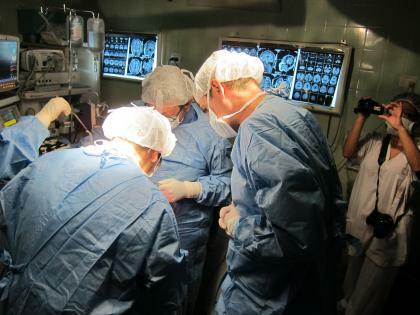 The surgery was done last month by Dr. Mao Vasquez under the supervision of London neurosurgeon Dr. David Steven. Dr. Jorge Burneo and Dr. Steven travelled to Peru for a week in August to continue their work in helping the country of 29.5 million people establish its own epilepsy program. Dr. Burneo has been training neurologists in Peru since August of 2008 delivering lectures and workshops, and going on rounds. 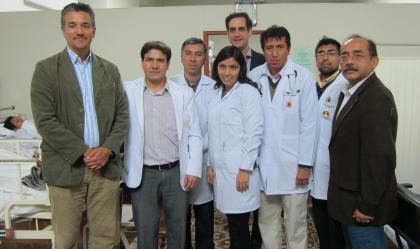 Some of the Peruvian clinicians have also come to the epilepsy program at London Health Sciences Centre to do fellowships. Drs. Steven and Burneo will coordinate another trip in 2013, to assist in more temporal lobectomies, and extratemporal lobe cases.